HomeCompany NewsOur products at Moscow International Exhibition ARMS & Hunting'2012! 09/10/2012Our products at Moscow International Exhibition ARMS & Hunting'2012! 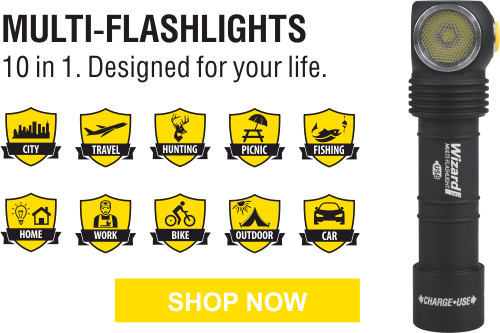 Armytek has a great positive experience in exhibiting at different specialized shows, where our professional and high-end flashlights meet a great interest from attendees’ and resellers’ side. And now we are pleased to invite you to the Moscow International Exhibition ARMS & Hunting'2012 on September 5-8, 2012 where our company will be represented! At the exhibition you will be able to examine closely and test our newest and most popular products, observe the truly excellent performance of our flashlights and get your own experience of using them! We will be glad to hear your opinions and proposals for improving our products and to discuss with you our plans and perspectives for new desirable product series. And of course we will provide you with all necessary information on prices and profitable terms for reselling. Armytek takes part at Hunting and Fishing in Russia'2012! Armytek takes part at Hunting and Fishing in Russia'2013! Armytek at the NATURE, HUNTING, FISHING’2013 in Plovdiv, Bulgaria! © 2007-2019 Armytek Optoelectronics Inc., Canada.